December is here and that most likely means your holiday shopping deadline is fast approaching. Whether you are wondering what to get the freediver in your life, or you just want to treat yourself this holiday season, I have put together a guide of freediving gifts ideas to get you started. There are some fantastic snorkels on the market with lots of bells and whistles such as dry or semi-dry. 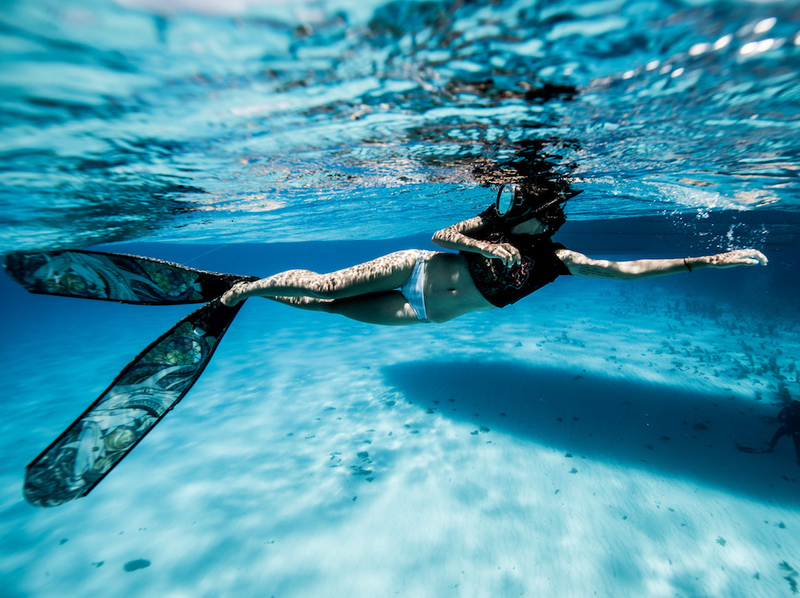 If you are an avid snorkeler, these options are very practical and can make your snorkeling experience much more comfortable. In freediving, the simpler the snorkel is the better. 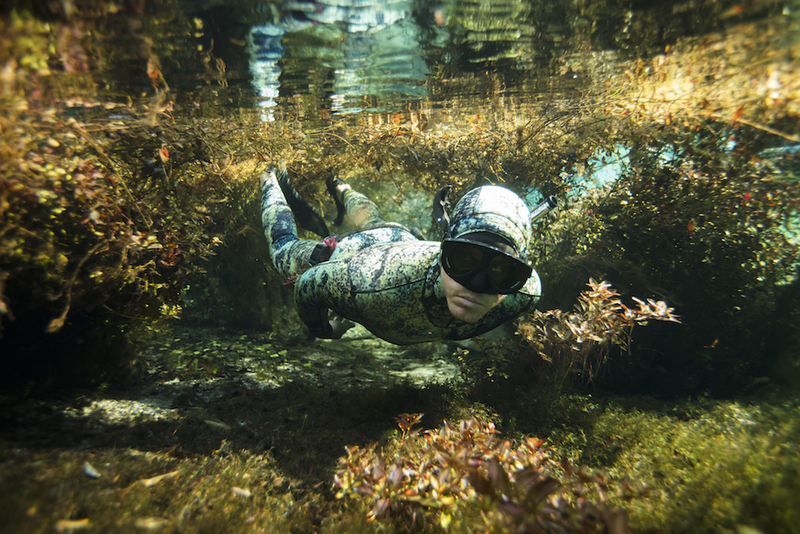 A traditional J snorkel is the best option for a freediver. The minimalism of this type of snorkel reduces the amount of drag as the freediver travels through the water. Since it is required that a freediver remove the snorkel before descending, there is no need for a complicated model. One of the most useful pieces of equipment for me was purchasing my first rubber weight belt. When freediving, as the pressure increases at depth your wetsuit will compress, but a standard SCUBA nylon weight belt does not compress. 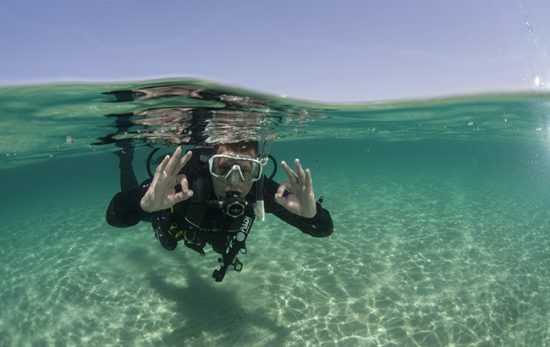 If you are maintaining the correct vertical position in the water on your dive, this will result in the nylon weight belt slipping down your torso toward your shoulders. It is very frustrating when this happens, especially since you are trying to stay relaxed and focus on your technique. A rubber weight belt can stretch and will fit securely around your hips to avoid this problem. Don’t forget that the correct weight belt placement is below your diaphragm to allow you to take the most efficient breaths possible! I first discovered this clothing line at DEMA one year. 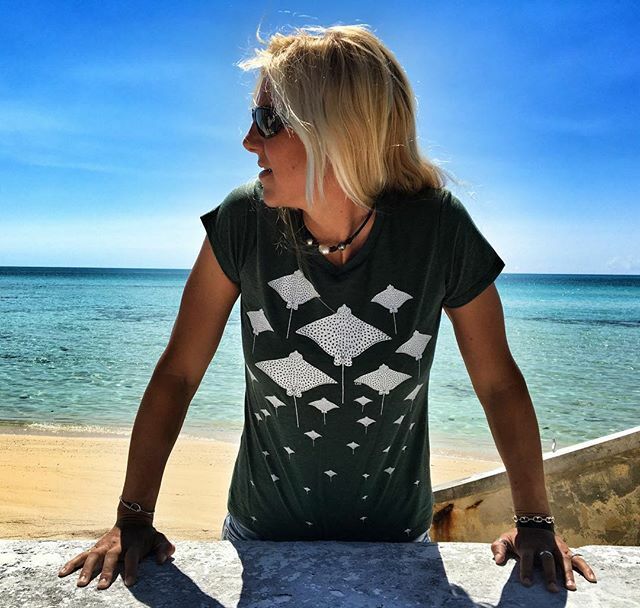 They have such an inspiring backstory and are the perfect choice to outfit your freediving buddy in! The brand is designed after underwater photography and puts recycling at the forefront of their mission. From manta rays, to humpback whales, to sharks and penguins, the selection is awesome and guaranteed to catch the attention of all your dive buddies on the days you spend on dry land. 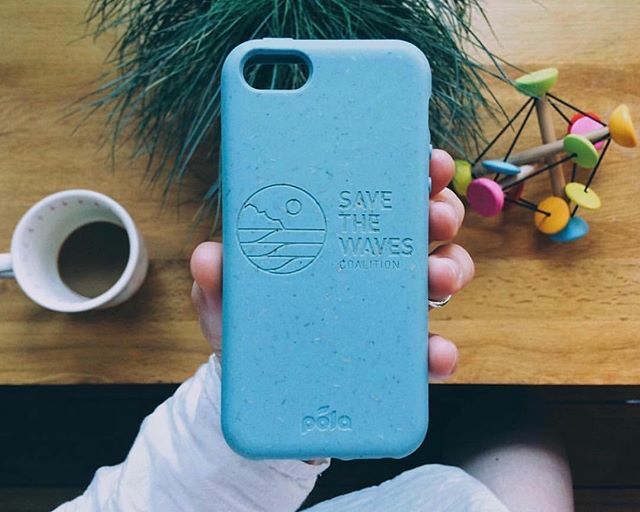 Pela Case is an eco-friendly company whose products are created with the intent to increase awareness about how to make consumer decisions that are sustainable alternatives in the market. All products from Pela Case are NSF tested to be free of BPA, lead, cadmium, and phthalates. Their “Save The Waves” collection is particularly appealing to the dive community because $5 from each sale goes toward working with communities to protect coastal ecosystems. Freedivers are ambassadors for ocean conservation, and this gift is a perfect way to show that you care about the environment! One of the best ways to explore the world of freediving from dry land is to read about it. Two of my favorite books happen to be freediving related and I had my head buried in them during my freediving instructor course. Deep is an investigative account from a journalist who became captivated by freediving after witnessing a competition in Greece. After taking a quick breath hold training in Greece, James Nestor then goes on to interview professional freedivers, coaches, researchers, and beyond to learn about the different methods of exploration as humankind strives to learn more about the ocean’s depths. James also takes a freediving lesson and eagerly tells the reader about his personal experience with the sport. Another great read is titled One Breath, which depicts the true story of Nicholas Mevoli, a professional freediver who met an early and uncommon death during a competition. The story accounts Nick’s rise to success and analyzes what might have gone wrong leading up to Nick’s final dive. It is truly a fascinating and beautiful account that parallels the story of Chris McCandless’ Into the Wild. A moving and heart breaking tale, any adrenaline junkie will enjoy this book. A low volume mask is one of the most important pieces of equipment for a freediver. This type of mask is different to a traditional scuba mask because it has a smaller air space. This is advantageous because it is a smaller volume that the diver needs to equalize when descending. For a freediver, any means that the diver can conserve air is important and the deeper they go the more important this fact remains. Low volume masks fit close to the diver’s face to allow for a small air space to equalize during a quick descent. This next one may be unexpected, but once you practice with it, there is no turning back. 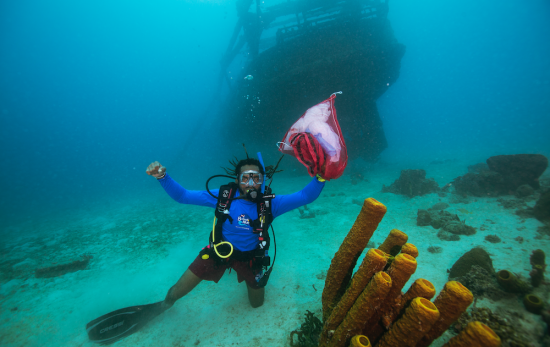 In scuba, we are used to building a weight belt with weight increments ranging from 1 lb up to even 8 or 10 lb weights. In freediving, it is ideal to build your weight belt with 1 or 2 lb weights and equally distribute the weights throughout the belt. Staying streamlined is one of your top priorities in the water, and setting up your weight belt in such a way allows you to maintain this. Relaxation and breathing exercises are some of the most fundamental techniques to a freediving practice. One dry activity that greatly complements freediving is yoga. 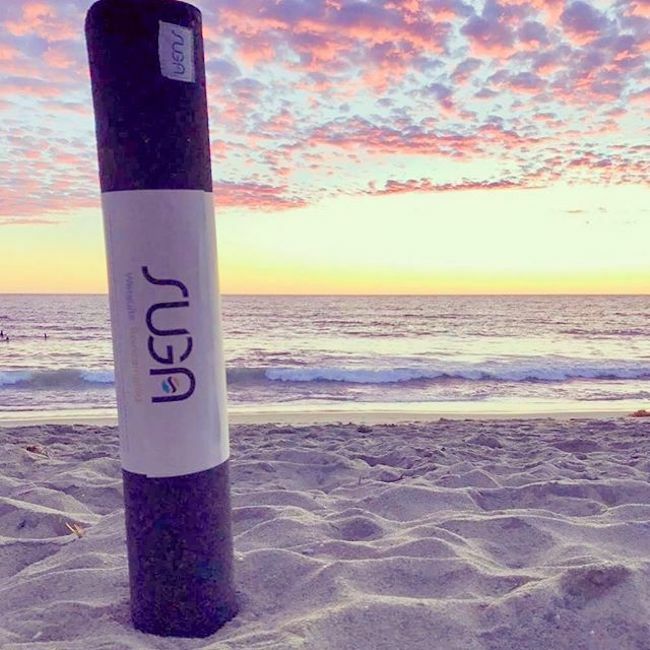 SugaMats is a company that sells yoga mats which are created 100% from recycled wetsuits – talk about coming full circle! Neoprene is non-biodegradable, and one dedicated surfer was intent on reducing his environmental impact and so SugaMats was born. I can’t imagine a better way to prepare for a day of diving than a relaxing yoga flow on a mat made of recycled materials! In the event that you or your freediving buddy have feet that fall within a half-size too small for your fin pockets, there is a wonderful solution! Fin keepers are a great stocking stuffer because they are small and inexpensive, but totally game-changing. A fin keeper is a small piece of rubber that fits around the base of your foot pocket and keeps your fins snugly attached to your foot. The better your fins fit, the more efficient your kick cycles will be. On top of that, they also contribute to helping you avoid soreness caused by stiff foot pockets. Long blade fins are one of the biggest investments a freediver will make. They come in a variety of materials such as carbon, fiberglass, and polymer (plastic). You get what you pay for with long blade fins and the better the material the more efficient they are in the water. Carbon fins are the most superior and I can guarantee that you will feel the difference in the water. I do not recommend purchasing these until you know that freediving is a hobby you will be passionate about. If you are gearing up for your level one freediving class, the plastic options will be adequate and then you can upgrade as you become more serious about the sport. An open cell wetsuit is another sizable investment for a freediver. A wetsuit will keep you warm and also provide protection from any environmental hazards such as jellyfish or fire coral. Open cell neoprene wetsuits are much more flexible than traditional scuba wetsuits which is ideal for a freediver taking their peak inhales. Another difference is that freediving wetsuits are two separate garments with no zippers which creates less drag. If you are gift-giving for a freediver friend and interested in buying them fins or a wetsuit, I recommend purchasing a gift card to a shop where they have the freedom to physically go there and select their own. The fit is very important and it’s best to try on in order to ensure a proper fit! I hope that this gift guide was helpful as excitement grows for the holiday season. Whether you are spending this winter in a cold climate, or a tropical paradise, make sure you are practicing your tables to prepare for your next opportunity to get in the water! Don’t forget to check out the top selling scuba gifts as well!